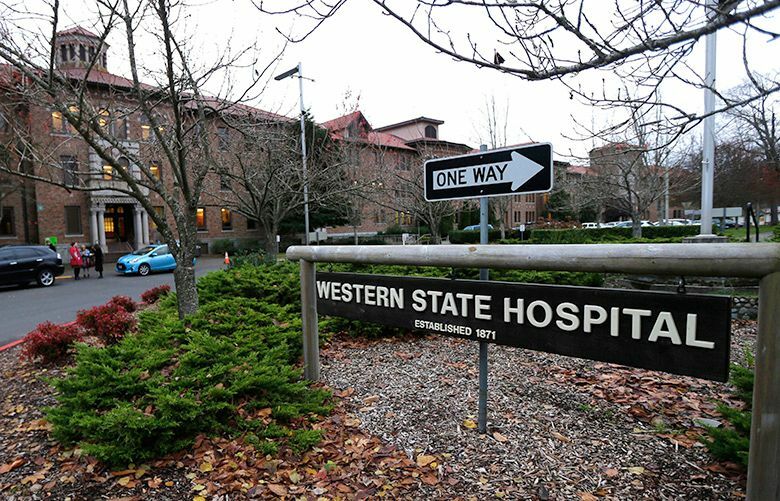 Lawmakers need to focus on fixing problems at Western State Hospital next year. But the beleaguered psychiatric facility also must enact internal changes to ensure future investments don’t go to waste. Western State Hospital is running out of time. More than two years ago, the federal government gave the beleaguered Lakewood psychiatric facility a warning: Shape up fast, or lose about $60 million in funding. Yet the 850-bed hospital is still failing to live up to federal expectations. Last month, Western State entered a second improvement agreement with the Centers for Medicare and Medicaid Services — an unusual corrective step — after federal inspectors found another 57 deficiencies there. The hospital now has to clean up its act by May. In a separate federal court case, the state is being fined more than $3 million per month over the hospital’s failure to provide timely treatment for criminal defendants deemed mentally incompetent to stand trial. As of the most recent count, 172 defendants were waiting to be admitted to Western State Hospital for treatment to have their competency restored, up from 83 in March 2015. Fixing these lingering problems at Western State needs to be one of Washington lawmakers’ top priorities when they reconvene in January. To do anything else is to perpetuate the cruel treatment of these vulnerable people in crisis. While state officials are celebrating how the latest federal inspection didn’t turn up any problems with the hosptial’s psychiatric care, the same report shows Western is struggling to maintain a safe facility, as well as provide basic medical services. State officials may call that progress. But after spending years and millions of dollars working to improve the hospital’s operations, it feels like a backslide. Since 2016, the Legislature has invested more than $150 million in mental-health improvements, including approving about 140 more staff at Western State just this year. Now, Democratic Gov. Jay Inslee is proposing to spend another $100 million in 2018 to fix issues at the hospital, including hiring another 200 people. More staffing may very well be needed. But the hospital must enact other changes to ensure these investments don’t go to waste. For instance, the hospital still has no staffing plan in place to ensure employees are being used effectively and deployed where they are most needed. State Rep. Eileen Cody, D-Seattle, said that type of “acuity-based” staffing model is a tool that helps reduce staffing issues at other hospitals, including where she has worked as a nurse. She chairs the House Health Care and Wellness Committee, and sits on a panel that oversees improvements at Western State. The lack of a staffing model causes Western State to spend more on overtime and providing one-on-one supervision for patients who don’t need it. Inslee’s proposed budget for 2018 includes $33 million to cover these type of cost overruns. Better to eliminate them with tighter management. An independent consultant is now working to develop a staffing model for Western State Hospital, with a goal of having it ready in January. But until that plan is finished, state officials aren’t sure precisely how many new employees will be needed, or exactly what mix of positions, said Carla Reyes, an assistant secretary with the Department of Social and Health Services, which runs Western State. The hospital also falls short when it comes to monitoring its own operations and how well it meets quality-of-care standards, according to the federal survey. That leaves the hospital more likely to lurch from one crisis to another, instead of identifying problems internally and correcting them before they alarm federal inspectors. These issues reflect management failures that go beyond the need for more money. Although Inslee inherited many of the problems at Western State Hospital, his administration has let the dysfunction there persist for too long. The Legislature must put these problems at Western State to rest in 2018. At the same time, any money lawmakers invest must be coupled with the hospital adopting internal quality-control measures — along with a staffing model that ensures state resources are being used wisely.